If you’re going to be in Nashville on Oct. 26, you might be interested in a free workshop at the Tennessee State Library and Archives. Mark Cheathem will be discussing Andrew Jackson as a southerner, which is also the subject of his new book. So today I posted something about a story of two camp followers at King’s Mountain, and later when I happened to take a look at my blog, the post wasn’t at the top of the page where it was supposed to be. I went back to the editing page and hit “Publish” again. Still no luck. Finally I noticed that the post had somehow ended up going underneath that Gettysburg photo post from a couple of days ago. Wordpress inexplicably dated it Sept. 23 instead of Sept. 26. So for all you folks who don’t subscribe to the blog by e-mail, there’s some new King’s Mountain stuff a couple of posts down. Not sure what’s going on here, so if things are a little bit weird around here for a while, bear with me. No, not the photo you’re thinking of. This is a different photo entirely, and it’s got two guys who look the part. Researchers are arguing over which one of them is Lincoln, and they can’t both be right. It’s like Highlander. There can be only one Abe Lincoln. Smithsonian magazine has the details. Sharyn McCrumb’s novel King’s Mountain is out now. I was hoping to pick up a copy yesterday, but the nearest bookstore didn’t have it in yet. I don’t read much fiction, but it’s not often somebody writes a novel about your favorite historical subject, so I’m really interested in this one. You can read an excerpt at Appalachian History. The main characters in the excerpt are two women who share the same nickname, Virginia Sal and Virginia Paul (or Poll), both of whom reportedly accompanied Ferguson on the campaign and were present during the battle. Quite a few books dealing with King’s Mountain refer to them, and they also appear in the film shown at the battleground’s visitor center. When it comes to documenting their presence in Ferguson’s camp, things get as little tricky. As with so much of what we know about the battle, the tale of the two Virginias owes as much to later oral tradition as it does to firsthand source material. I’m about to discuss these two women in some detail, so if you’re unfamiliar with their story and you’re planning to read McCrumb’s novel, you might want to skip this post until you finish the book. 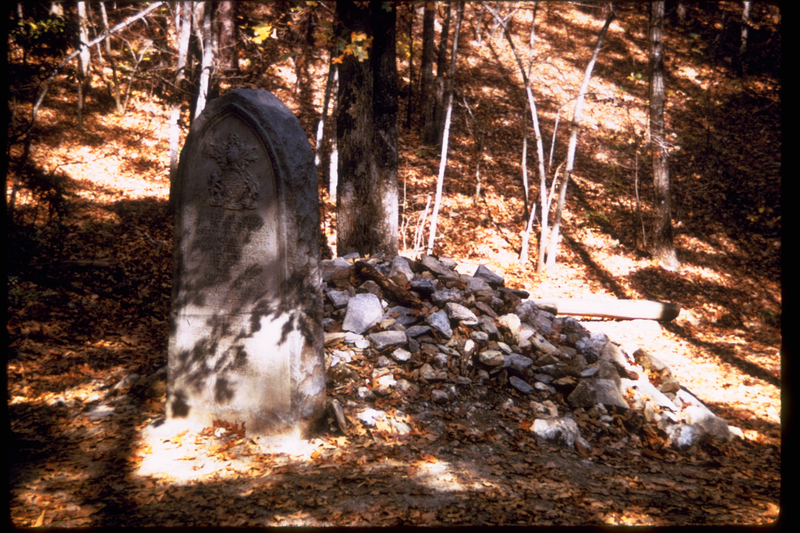 The fate of the two Virginias is one of the more colorful aspects of King’s Mountain lore. The red-headed Virginia Sal reportedly caught a fatal bullet and was buried on the battlefield, either next to Ferguson himself or in a common grave with some of the dead Tories. Virginia Paul is variously said to have been captured in the action and later released by Col. William Campbell, to have traveled with the Whigs back to North Carolina before going off to join Cornwallis, and to have pointed Fergsuon out to the attacking Whigs. Of course, women frequently accompanied Revolutionary War armies into the field as camp followers in order to cook, haul water, provide laundry and nursing services, and so on. But many accounts of King’s Mountain have the Virginias providing Ferguson with services of a less respectable character, claiming that the officer was keeping a mistress or two in camp. If the “mistress” angle is correct, Ferguson wouldn’t have been the only British officer to do so while on campaign in America. But since female camp followers performed a number of legitimate services for troops in the field, the fact that two women were reportedly with Ferguson at King’s Mountain doesn’t necessarily mean that he was sleeping with either of them. To modern ears, the notion that Ferguson was keeping a buxom red-headed lover in his camp, that she died during his famous last stand, and that they were both buried on the battleground sounds like the sort of romanticized, unsubstantiated baloney that would appeal to a credulous nineteenth-century antiquarian. Yet as tempting as it might be to dismiss the tale of the two Virginias as nothing more than a backwoods Carolina legend, there are actually a couple of sources that lend some confirmation to the story. That there was a woman who Ferguson had been keeping who had left the British army and had come with news to Capt. Lewis [presumably Capt. Joel Lewis] and she told him that Ferguson could be known by him using his sword in his left hand as he had been wounded previously in the right and Capt. Lewis communicated this to Col Cleveland and after the battle commenced, he pointed out Ferguson and selected 8 or 9 of his best riflemen and told them he had to fall, and there was 6 or 7 bullet holes through him after the battle…. This may reveal a kernel of truth to the story that Virginia Paul identified Ferguson, but McQueen’s claim that the woman “had left the British army” indicates that she had already departed from the camp before the battle started and then encountered the Whigs later at some point on their approach to King’s Mountain. That seems to contradict the story that she was among the Tories taken on the field, as well as Draper’s statement that when the battle ended she “was seen to ride around the camp as unconcerned as though nothing of unusual moment had happened.” Still, it’s significant that a veteran of the battle believed Ferguson had taken up with a woman who was accompanying the army. The other source isn’t on paper. It’s on the battlefield itself—or rather underneath it. In his book on Tories in the American Revolution, North Callahan reports that in 1845 Dr. J.W. Tracy of the town of King’s Mountain, NC found two sets of remains in Ferguson’s grave and identified one of them as female. And in his guidebook to the battleground and collection of eyewitness accounts, NPS ranger Robert Dunkerly notes that ground penetrating radar confirms the presence of a second body. So just because some historical anecdote sounds too dramatic and juicy to be true, that doesn’t necessarily mean it’s bunk. There’s an interesting article at AxisPhilly on the challenges facing the historic attractions in and around Independence Mall. Big museums in the City of Brotherly Love are dealing with shrinking funds and visitation numbers that are below their goals, even as yet another public history institution—the planned Museum of the American Revolution—is preparing to set up shop in the same neighborhood. Even with some buildings closed due to budget cuts, Independence National Historical Park is doing a brisk business, with 2 million visitors to the Liberty Bell last year and capacity crowds of 686,788 at Independence Hall. (If the number for Independence Hall seems low, bear in mind that NPS restricts the number of people allowed into the building and tours fill up early.) The National Constitution Center, by contrast, brought in fewer than 400,000, even though it’s right across from Independence Hall and the Liberty Bell building. You’d assume that most museums would be delighted with annual visitation of 400,000, but the folks at the NCC were apparently counting on more. The nearby Jewish History Museum saw 100,000 visitors and the African American Museum just 65,000. What accounts for the fact that INHP is doing a more brisk business than the other museums? Some of the answers are obvious. As the article’s author notes, the cost of admission probably has a lot to do with it. Getting in to see the Liberty Bell or the room where the Continental Congress met won’t cost you a dime, but you’ll have to fork over some cash to visit the National Constitution Center and other museums. Name recognition has got to be another factor, perhaps the most significant one. 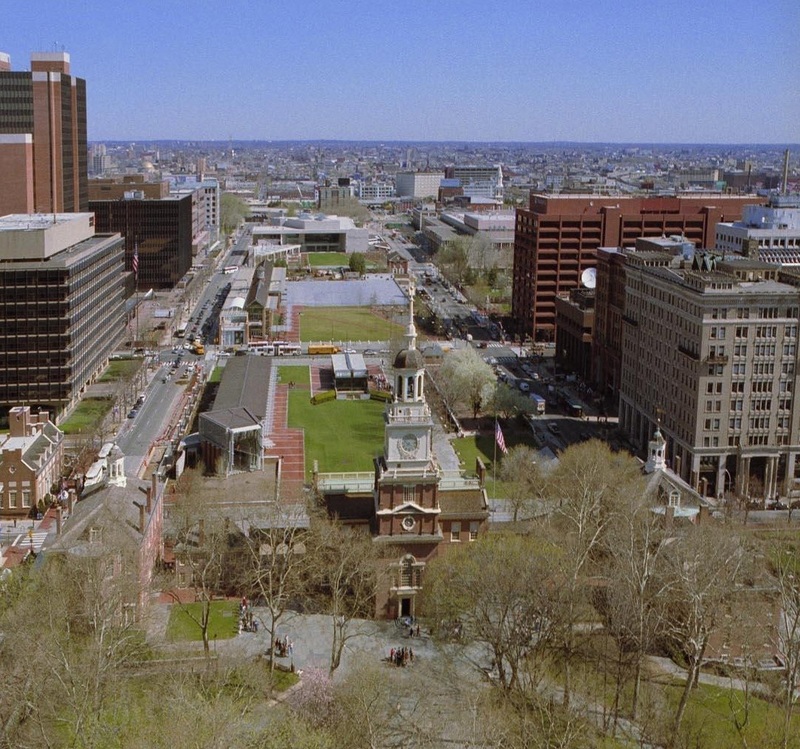 You couldn’t ask for a historic building with more superstar appeal than Independence Hall. The Jewish History Museum and the African American Museum presumably cater to a more specialized crowd. But the National Constitution Center isn’t as narrowly focused in its subject matter, and it seems to market itself extremely well. Ultimately, what I think most heritage tourists want more than anything else is authenticity. They want to stand in the original spot, see the real thing, have a face-to-face encounter with the past. Take a tour of some historic house, and you’re bound to hear somebody in the group ask how much of the structure and furnishings are original. Likewise, when I was a museum intern, the first question people asked when they stood at the counter trying to decide whether or not to hand over their money was, “What is there to see?” They weren’t referring to the exhibits, but the collection; they’d come to a Lincoln museum to see Lincoln artifacts. It’s like the apocryphal story about Willie Sutton. When a reporter asked him why he robbed banks, he supposedly answered, “because that’s where the money is.” People who are interested in history go to history museums because that’s where the historic stuff is. This is an age of high-dollar mega-museums with ever more elaborate exhibits, but public historians always need to keep in mind that the objects themselves are what separate museums from other media of education and entertainment. We definitely don’t need to return to the days when an exhibit consisted of nothing but text panels and cases filled with labeled items, but we also don’t need to lose sight of the fact that while exhibits will eventually become dated, the objects aren’t going to lose their appeal. What happens when an irresistible force meets an immovable object? The Tennessee Valley Authority found out in 1936, when they tried to persuade the Randolph family to vacate their Campbell County farm. The irresistible force was the rising water impounded by Norris Lake; the immovable object was Mattie Randolph, the woman of the house. The resulting report would be a fantastic primary source to use in the classroom. Although the exasperated author of the report claimed that “neither [Mrs. Randolph] nor any of her family have any idea as to the meaning of the TVA,” when you read the document you can’t help but wonder who was misunderstanding whom.